The 2015 NASCAR K&N Pro Series West will conclude and a champion will be crowned with the Casino Arizona 100 on November 12 at Phoenix International Raceway. The NASCAR K&N Pro Series, which includes the East and the West, is the top step in NASCAR’s developmental ladder before drivers progress to the three national series. West drivers go around the Phoenix International Raceway in 2014. Chris Eggleston is currently leading the K&N Pro Series West Points. Noah Gragson is second in points a mere 4 points back. Gracin Raz, the winner of the last event is in third place 9 points behind the leader. Harrison Burton, 15, made his series debut in the NAPA 150 with his father’s race team, Jeff Burton Autosports. He started from the twelfth position and finished a respectable eleventh. Harrison is the son of former Sprint Cup driver and current NBC Sports analyst Jeff Burton. Fans will be excited to see the return of 2011 & 2014 K&N Pro Series Champion Greg Pursley. Pursley has three wins at the Phoenix International Raceway. Landon Cassill is a regular in both the NASCAR Sprint Cup Series and the Xfinity Series. In three NASCAR K&N Pro Series East race back in 2007 and 2015, Landon recorded one top-five and 2 top-ten finishes. Dalton Sargeant, a 17-year-old NASCAR Next driver finished fourth in the NASCAR K&N Pro Series East Series. He has also tallied three NASCAR Camping World Truck Series starts. Dalton won the K&N Pro Series West race in Bakersfield last March. Todd Gilliland will make his K&N Pro Series West debut in the No. 54 Toyota with assistance from Kyle Busch Motorsports. 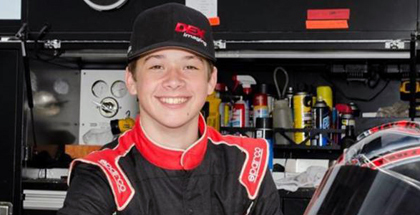 The 15-year-old third-generation driver is the youngest winner in the ARCA Racing Series, having won at Toledo in May at just fifteen years and two days. His grandfather is Butch Gilliland and his father is David Gilliland. "D. J." Kennington is a Canadian driver. He currently competes in the NASCAR Canadian Tire Series, winning the 2010 and 2012 series championships. William Byron is the 2015 K&N Pro Series East Champion and always a threat for the win. Byron led the championship standings since the third race of the season. He completed the season with four wins, five top fives and 11 top 10s in 14 starts to become the fourth youngest champion in series history. Ben Kennedy is the great-grandson of NASCAR founder Bill France Sr. 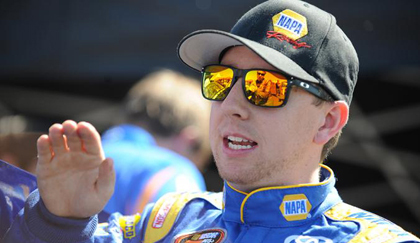 He currently competes full-time in the NASCAR Camping World Truck Series, driving the No. 11 Toyota Tundra for Red Horse Racing. In 2013, Ben has two wins in the K&N Pro Series East. This exciting line-up of NASCAR talent will thrill the crowd attending this event as the checkered flag reveals the 2015 K&N Pro Series West Champion. The series will qualify on Thursday 11/12 at 3:00 p.m. and race at 7:30 in the K&N Pro Series West Casino Arizona 100 .